We started this project because people with disability and their families did not have a voice. 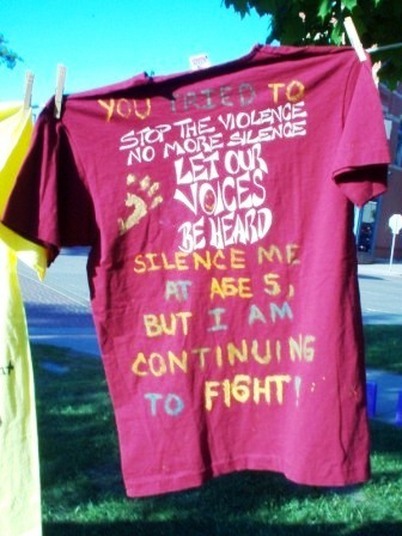 We are going to do this by using tee shirts to share our stories. If you want to be part of the project, go to 'Get Involved'. You can see the New Zealand Disability Clothesline Project here. You can read the names of disabled people who have died because of violence, abuse or neglect here. What is the White Flower Memorial? Click here to find out. how to do it here. click the button below to email government.